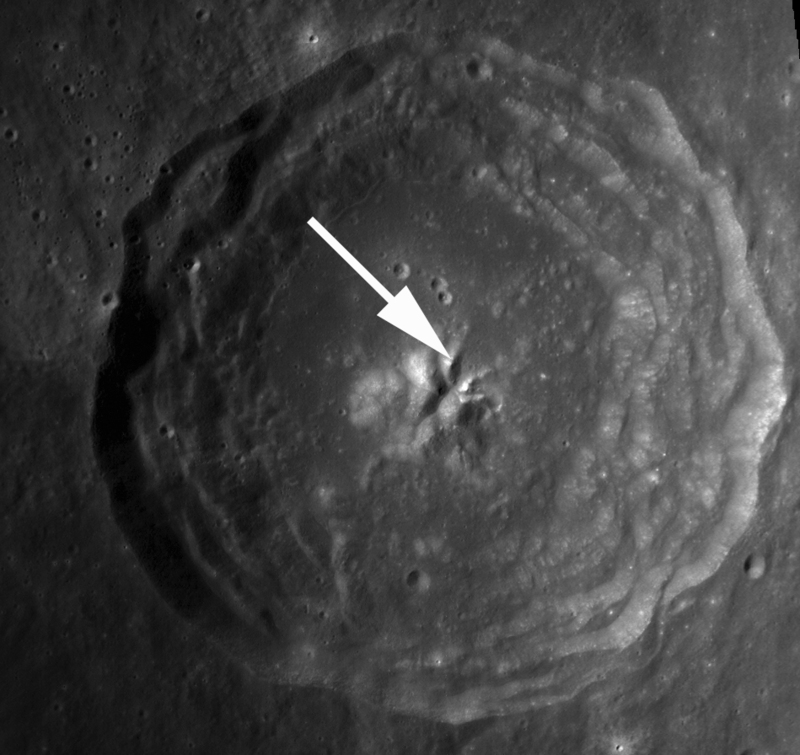 NASA's Lunar Reconnaissance Orbiter shows the summit of the central peak of Bullialdus crater, a Constellation Region of Interest. LROC Narrow Angle Camera image M114098458LE, image is 500 meters (1640 feet) wide. Nearly every square inch of the Moon is affected by impact craters, from micron-sized pits to gargantuan impact basins (like the 1100 kilometers or 638 miles) diameter Imbrium basin, which can be seen with the naked eye on a clear night). Lunar craters have a dizzying array of sizes and morphologies; this is because the size and the morphology of a crater depends on the size (and to some extent, the speed) of the impacting bolide. While there are no places on the lunar surface that aren't interesting or worthy of a visit from human explorers, a recurring theme that can be seen on the list of Constellation program regions of interest are complex craters -- large craters with a central peak.